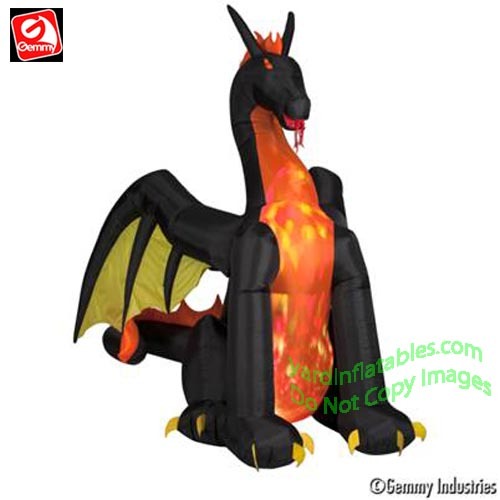 Animated Black Dragon With Orange Fire & Ice Chest & Yellow Wings! 9' Tall x 11' Wide!! !